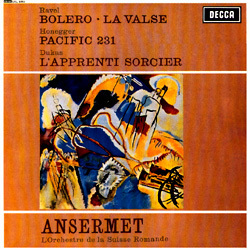 Among the innumerable recordings of Maurice Ravel’s Boléro, the present one made by DECCA with the Orchestre de la Suisse Romande under Ernest Ansermet is of particular note. 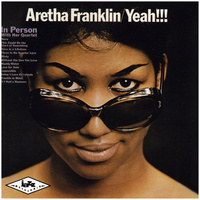 The impressive mounting crescendo over an ostinato bass, leading through the work from the very first bar right up to the last note, goes hand in hand with ever increasing intensity and excitement and hardly permits the listener to draw a breath. As in the Boléro, Ravel’s La Valse, a choreographed poem for orchestra composed in 1920, is based on a single rhythmic idea, the Viennese waltz, which lends the work increasing impetus throughout the course of the music. 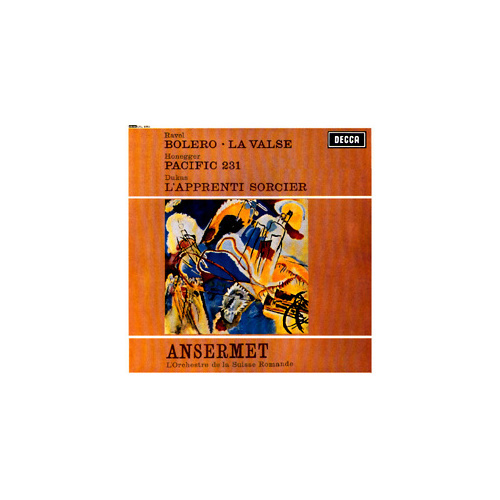 Although Arthur Honegger’s Pacific 231, composed in 1923 and dedicated to Ernest Ansermet, is more modern and has a more complex structure, here too a great arc of tension determines the progress of the music until shortly before the end. 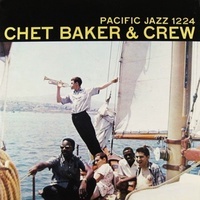 The orchestra accelerates in tempo and then decelerates – due to the motivic writing – towards the end thus evoking the sound of a locomotive: the Pacific 231 namely.